Only a leading sports medicine doctor can provide prompt and compassionate care. A leading sports medicine doctor utilizes state-of-the-art orthopedic treatments. If you want to get back into the game – FAST – turn to Dr. Howard Marans – Orange County’s leader in sports medicine located in Santa Ana. By the nature of their lifestyle, athletes are at an increased risk of orthopedic problems. Athletes have unique needs when they are recovering from injuries. Only a doctor specializing in sports medicine can provide cost-efficient treatment to get athletes back into action. Dr. Marans has treated the best of the best over the course of his practice. Dr. Marans treats every athlete according to his/her individual injury. This is because athletes need full functionality of the injured area to excel in their sport. The Doctor’s mission is to restore every athlete to full functionality and prioritize whole body health in order to prevent future injury. Dr. Marans is renowned for being aggressive in treating sports injuries. Athletes want to perform strenuous physical activity at peak performance over many years. Every visit for Physical Therapy at OCOrthopedic+ is designed to promote cost-effective and expedient recovery. OCOrthopedic+ is an athlete-focused sports medicine practice providing all-encompassing diagnostic and treatment services within one convenient Santa Ana location. If you have suffered a sports-related injury, Dr. Marans will make it a priority to get you back into action as fast as possible. You must seek immediate treatment for a sports injury. Delaying diagnosis and treatment can lead to a prolonged healing timeframe, worsening of injury, and likelihood of recurrent injury. For over 20 years, Dr. Marans has been a leader in providing stellar sports medicine to athletes suffering from acute, chronic, and disabling pain. As an experienced orthopedic surgeon, Dr. Marans begins with a precise diagnosis. 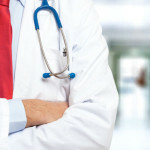 The Doctor’s mission is to treat all patients in a professional, timely manner. Schedule your initial consultation with Dr. Howard Marans in his new Santa Ana, CA location. Please click the icon below – or – call 714.979.8981. Only an All Star sports medicine doctor can provide prompt care utilizing established orthopedic treatments. If you want to get back into the game – FAST – turn to Dr. Howard Marans – Orange County’s All Star in sports medicine located in Santa Ana. For over 20 years, Dr. Marans has provided All Star sports medicine to athletes suffering from acute, chronic, and disabling pain. 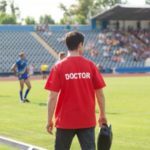 If you have suffered a sports-related injury, locating the leading sports medicine doctor is a priority to get you back in the game. OCOrthopedic+ is a top rate, athlete-focused sports medicine practice providing all-encompassing treatment services within one convenient Santa Ana, CA location. Dr. Howard Marans – founder of OCOrthopedic+ – recommends seeking immediate treatment for sports injuries. Delaying diagnosis and treatment can lead to a prolonged healing timeframe, worsening of injury, and likelihood of recurrent injury. For over 20 years, Dr. Marans has provided top rate sports medicine to 1000s of athletes suffering from acute, chronic, and disabling pain. Dr. Marans strives to reduce every athlete’s pain and improve their body’s functionality. When an athlete’s strength is renewed and their pain is stabilized, Dr. Marans focuses his care on recurrent injury prevention. Dr. Marans’ ultimate goal is to help every athlete move from pain, injury, or dysfunction into a restoration of function as quickly and cost-effectively as possible. When physical therapy or other conservative treatment fails, Dr. Howard Marans offers top orthopedic surgery to correct the problem. Treatment of severe injuries or other physical conditions can involve a wide range of surgery techniques. Whether it’s your shoulder, knee, hand, wrist, elbow, ankle – tendon damage or fracture – the Doctor will take care of you in a professional and timely manner. As a top rate sports medicine doctor in Santa Ana, CA, Dr. Marans has the education and clinical experience to correct your injury or physical condition. An experienced orthopedic surgeon begins with a precise diagnosis. Dr. Howard Marans has over 20 years of providing his patients with whole body care and rehabilitation post-surgery. The Doctor’s mission is to treat all patients in a professional, timely manner. 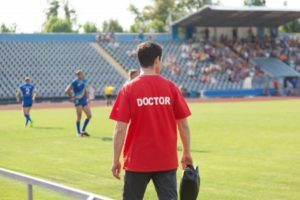 If you have suffered a sports-related injury, locating a top rate sports medicine doctor is a priority to get you back in the game. OC Orthopedic+ is a top rate, athlete-focused sports medicine practice providing all-encompassing treatment services within one convenient Santa Ana, CA location. Dr. Howard Marans – founder of OC Orthopedic – recommends seeking immediate treatment for sports injuries. Delaying diagnosis and treatment can lead to a prolonged healing timeframe, worsening of injury, and likelihood of recurrent injury. 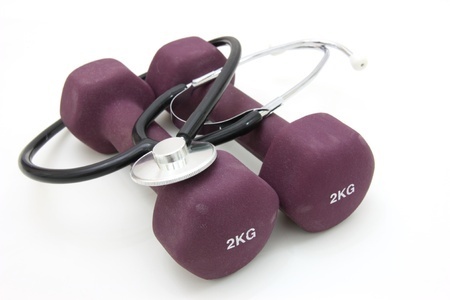 A top sports medicine doctor will provide immediate treatment for sports injuries. The founder of OCOrthopedic+ in Santa Ana, CA – Dr. Howard Marans – is a top, athlete-focused sports medicine practitioner providing all-encompassing treatment services within one convenient location. If you have suffered a sports-related injury, finding prompt treatment is a priority to get you back in the game. Delaying diagnosis and treatment can lead to a prolonged healing timeframe, worsening of injury, and likelihood of recurrent injury. For over 20 years, Dr. Marans has provided top sports medicine to 1000s of athletes suffering from acute, chronic, and disabling pain. When physical therapy or other conservative treatment fails, Dr. Howard Marans offers top orthopedic surgery to correct the problem. Treatment of severe injuries or other physical conditions can involve a wide range of surgery techniques. Whether it’s your shoulder, knee, hand, wrist, elbow, and ankle – tendon damage or fracture – the Doctor will take care of you in a professional and timely manner. As the top sports medicine doctor in Santa Ana, CA, Dr. Marans has the education and clinical experience to correct your injury or physical condition. A celebrated sports medicine doctor is one who has treated hundreds of elite athletes – as well as thousands of amateurs – over the course of his practice. Dr. Howard Marans caters to those athletes having high risk of orthopedic injury as a result of their sport of choice. Santa Ana’s OC Orthopedic is a top notch, athlete-focused sports medicine practice providing all-encompassing treatment services within one location. Dr. Howard Marans – founder of OC Orthopedic located in Santa Ana, CA – recommends seeking immediate treatment for sports injuries. Delaying diagnosis and treatment can lead to a prolonged healing timeframe, worsening of injury, and likelihood of recurrent injury. 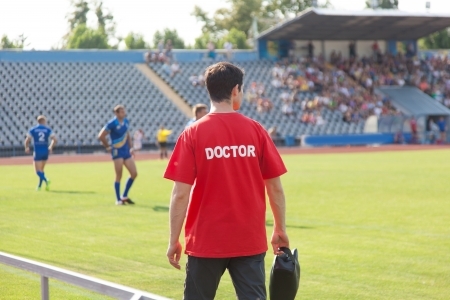 Why is having a sports medicine doctor so important? Every athlete – pro or weekend warriors alike – have unique orthopedic medical conditions and injuries. OC Orthopedic is a top notch, athlete-focused sports medicine practice providing all-encompassing treatment services within one location. Dr. Howard Marans recommends seeking immediate treatment for sports injuries. Delaying diagnosis and treatment can lead to a prolonged healing timeframe, worsening of injury, and likelihood of recurrent injury. If you have suffered a sports-related injury, locating the best sports medicine center in Orange County CA is a priority to get you back in the game. Dr. Howard Marans and his staff of sports medicine specialists at OC Orthopedic provide comprehensive diagnostic testing and individualized therapeutic treatment plans. Dr. Marans has provided successful treatment to 1000s of athletes suffering from acute, chronic, and disabling pain. Dr. Marans strives to reduce every athlete’s pain and improve their body’s functionality. When an athlete’s strength is renewed and their pain is stabilized, Dr. Marans focuses his care on recurrent injury prevention. Dr. Marans’ ultimate goal is to help every athlete move from pain, injury, or dysfunction into a restoration of function as quickly and cost-effectively as possible. Dr. Marans has the education and clinical experience to accurately diagnose and treat the underlying cause of your pain. As a leading sports medicine doctor in Orange County CA, Dr. Howard Marans offers all-encompassing orthopedic diagnosis and surgical treatment. To schedule your initial consultation with Dr. Howard Marans, please click the icon below – or – call 714.979.8981. 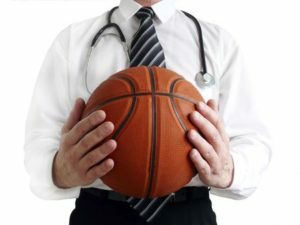 You do not need to be a professional athlete to benefit from a doctor who specializes in sports medicine. Being treated by a doctor who has received additional training in sports medicine is often a better choice for today’s physically active individuals. 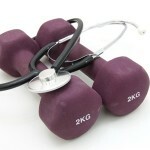 The focus of sports medicine doctor is to help patients. Sports medicine doctors must complete a sports medicine fellowship after completing medical school and a residency program. A sports medicine fellowship typically takes one to two years. Dr. Howard Marans’ education and clinical experience. The Doctor specializes in treating knee and shoulder injuries. Each patient’s injury is unique. Dr. Marans specializes in developing individualized treatment plans. A typical treatment plan may include non-surgical or surgical treatment options. Physical therapy is implemented before and after surgery to help maintain range of motion and muscle tone. A top sports medicine doctor like Dr. Marans will guide you through your recovery and continuously monitor your progress until you are able to return to your peak performance. Dr. Marans will works to reduce the chance of recurrent injury or new injuries, while improving performance. Have an acute injury. Seeking immediate evaluation after a sudden injury can help determine the extent of the injury and the best course of treatment. Suffer from recurrent injuries. The doctor can help you identify the reason(s) for re-injury, whether they are from training errors or because of a biomechanical abnormality. Want to prevent injuries. Know how to prevent injuries will help keep you off the sidelines. Wish to enhance your performance. You can benefit from your doctor’s experience and knowledge to take a comprehensive approach to maximizing your athletic potential. Dr. Howard Marans is one of the top sports medicine doctors in Orange County. The doctor has successfully treated thousands of patients, including professional athletes, over the past 20 years and can help you too. To schedule your consultation, please click below or call 714.979.8981 today.